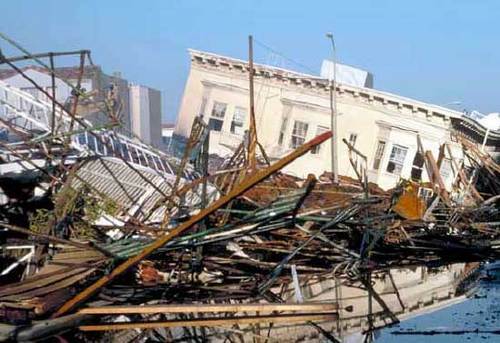 Here is photo of the devastation from the Loma Prieta Earthquake in 1989. 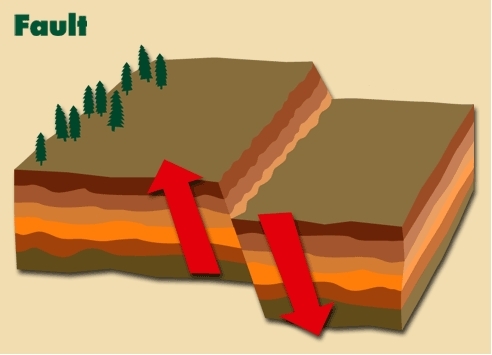 The picture of this fault shows sections of earth moving in two different directions. 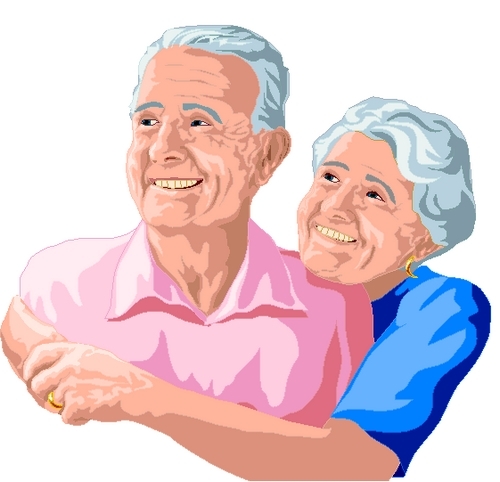 Old people are more susceptible to getting sick. 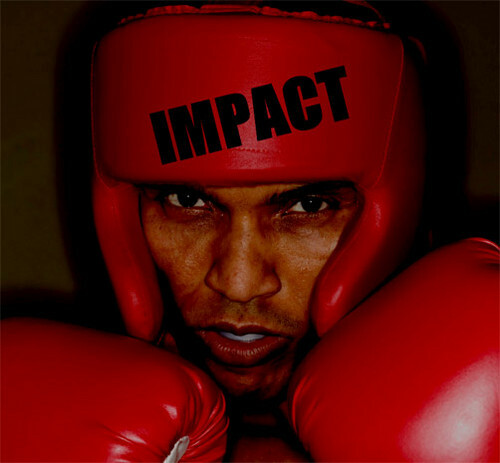 A boxer uses a padded helmet to help defend against the impact of another boxer's fist. 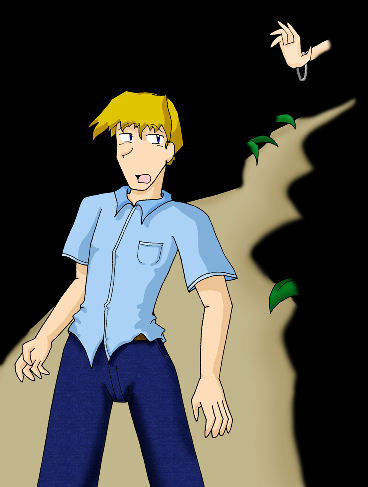 The girl shuddered when she heard something behind her. 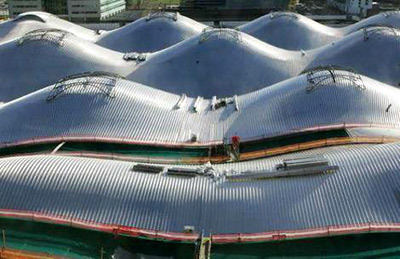 The roof of this building is undulating. 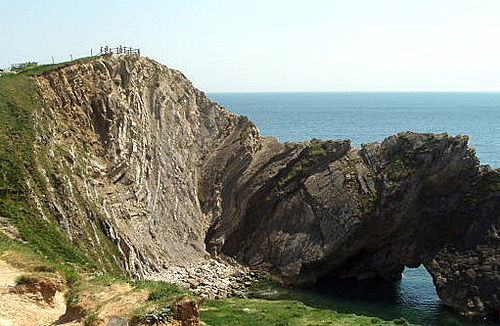 This rocky hill was created by an upheaval. Can you think of a good picture for the word jolt?